We have some exciting news to share about Ushyaku Team’s passion about Mobile App Development and Web Development using innovative techniques. Ideas coming out from continuous Research and Development is something which cannot be related to experience and the same is happening at Ushyaku, our think tank of developers is not only coding for projects but also innovating continuously to contribute to client’s success as well as to the community. One example is latest work from Prashant Saini, who loves to code mobile apps. 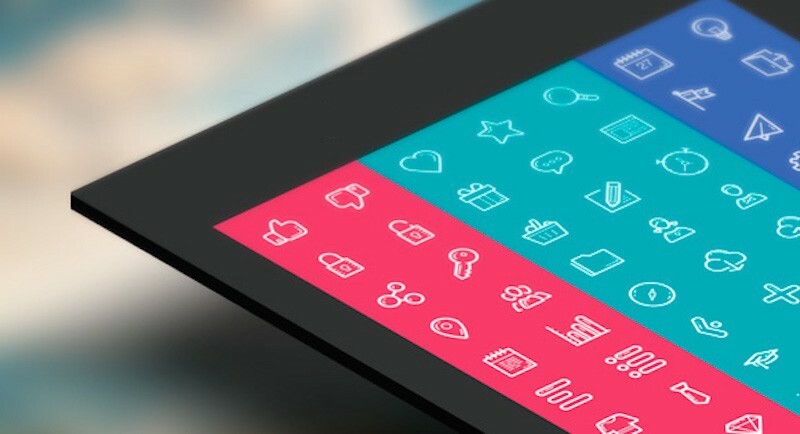 Check out his latest innovation published on Appcelerator website, where he has shared Cool Technique to Use Vector Icons using iconic font files in Titanium Apps. This tutorial can be really helpful to all dealing with Titanium App Development, Android and iOS Development, App Development on Xamarin, PhoneGap or Cordova. This is just one example of the culture we have developed at Ushyaku and we’re right in saying that, The Ushyaku team loves to work and play with the latest technology. We show this through our passion in developing native and cross-platform web and mobile solutions that leverage trusted as well as upcoming technology advancements such as Web API, Blockchain, Cryptocurrency, Beacons, and Location Based Information. To get connected, please follow Ushyaku Software Solutions on Twitter, Medium, LinkedIn, Facebook and Instagram. 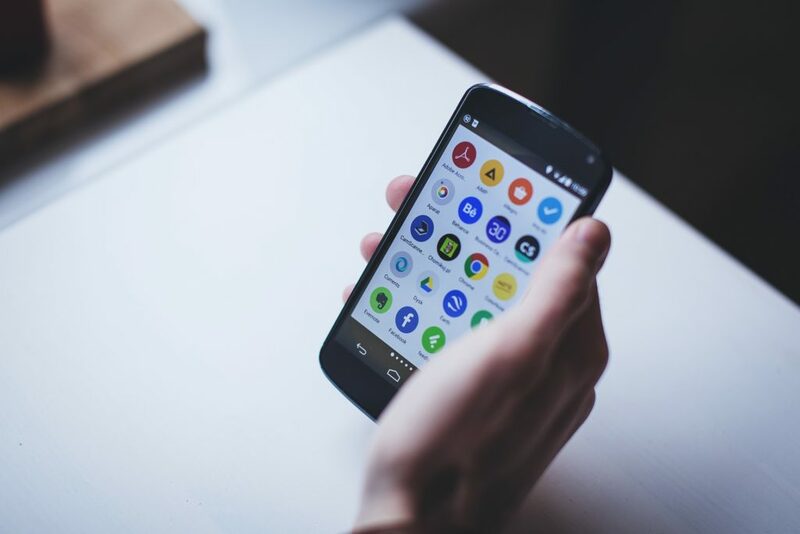 With growing markets with technological advancements, everybody is moving towards mobility on native platforms like Android or iOS or cross platforms like Titanium and Xamarin. The main idea is to provide developers an ideal platform which is the most suitable as per your customers’ requirements and budget. There are many app development platforms available which can help building an app without digging a hole in the pocket. Fortunately, various great multi-platform developers’ tools are also available in the market. It is important to pick right development platform for mobile applications. Native app development is always awesome and offers powerful features but sometimes you have to rely on a platform which offers cross platform support, flexibility, scalability and wider support. Sometimes such platform also saves development cost and time. Moreover, Appcelerator additionally offers customizable metrics for other activities and actions. Applications can be hardware-based and all application information can be put either in the cloud or on the device. Xamarin is an awesome hybrid mobile app development platform and it offers modern programming language, powerful tools, an efficient and delightful workflow and the power to create the best user experiences. Furthermore Xamarin is an open source platform where community members can make useful contributions from which other developers can get benefitted. Do you want to convert your idea into reality? Today’s era is more competitive than earlier and each business is willing to reach out to their customers globally and boost their online revenue. Mobile Applications, Web Applications and Ecommerce Solutions have become necessity to showcase and promote their products and services to their target audience. To move forward, a business will need to have a website and mobile applications for greater reach, and getting quality IT solutions at affordable cost is a challenging task. But with the help of Ushyaku Software Solutions, It has become easier to develop your App or Solution with the highest quality and greater scalability. May it be SME or large conglomerate, Ushyaku builds IT Solutions for all with the same passion for quality. If you are a IT development company then our Offshore Development service is the best buy for you where you can outsource all your development activities to us at fixed rate which will be a huge cost saving for your business, and that will help you to increase your profit from your existing business contracts. Save time and investment — Offshore development enterprises is a gift to SMEs and startups who have innovative ideas and wanted to convert their ideas into revenue generating product. When you outsource your requirement to your Offshore Partner, they will assign a dedicated expert to your project which will cost you way lesser than your current cost. It will also save your infrastructure and operational investments at the same time, which will directly result in saving of a huge amount of time. Access to talented and skilled quality resources at affordable rates — The offshore enterprises hires talented designers and developers who are incredible at work. In this way, the nature of the projects they work upon is constantly remarkable and proportional to the worldwide guidelines. Likewise, they make the effective utilization of the latest Technology and move your business towards success. Here economy of scale comes into the picture which will reduce the cost drastically. 24* 7 Support and communication for your business — You will never feel that you are not associated with the enterprise. They will work for your round the clock to give you updates either through each single communication channel, in this manner you will get the best results which meet international guidelines, work fulfilment and peace of mind. They will adjust their way of working according to your time zone. Security and timely delivery – When you work with an offshore development company for your mobile applications and web application development needs, they will communicate the project delivery deadlines in advance, which will not be possible for your in-house development efforts. And in majority of the cases they will meet these timelines because of vast experience and huge pool of resources backed by their extended teams. Getting your development activities done by offshore enterprises is very secure as they are highly professional people and will understand privacy and sanctity of the contract. Available in post issues — Application Support is essential for any project where change requests, bug fixing and minor enhancements are likely to come up which can’t be factored in during the planning phase. This involves additional cost, but with offshore development teams this can be covered at no additional cost. Peace of mind and focus on Business — Offshore mobile app and web development firms empowers you to pay more attention towards business activities which will enable to you grow and succeed. You simply need plan your projects once and then oversee at regular intervals, no need to get involved in regular activities. Is your Outsourced Mobile App Development Project Profitable? Developing a professional mobile application is essential for business growth and productivity across industries. May it be SME or Large Enterprises, the focus is clearly on enterprise mobility. An effective mobile app is a great weapon for marketing team as well. Converting an innovative idea into a real mobile app would be desire of any enterprise but at the same time developing mobile applications in-house will involve massive cost and high risk of failure or it may result in mismanaged or low quality app as an outcome. In this situation outsourcing your mobile app development is the best option that will yield high quality results at affordable cost. Finding and selecting Mobile Application Development Company can be very easy if you can focus on key areas and evaluate them properly before you make decision. Before you go out and select a mobile app development company for your iOS App Development or Android App Development needs, you must be very clear about the purpose of having the app. 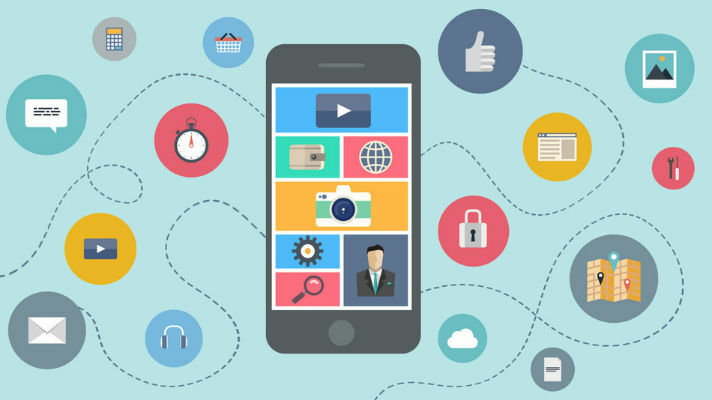 What are your end results you’re expecting out of your mobile app? What outcomes you’re expecting at the end of the development cycle? What is the target audience or potential user base of this app? What data sources would be needed to kick-start the development process? These are some vital questions which should be answered before you approach a mobile app development company. As mentioned above, knowledge about target audience is vital for designing the mobile app and making decision about having it a free app or premium app. When you outsource your mobile app development to an outsourcing partner, avail the project consultancy services seek their expert advice about choosing the platform (iOS, Android, Hybrid). Going for a Hybrid development platform (Cross Platform) would be a cost effective affair and will also cut down development cost. Once you’re ready with all your research, you can decide on mobile platform which you’re going to use for the development. You can go for native iOS App or Android App, or at the same time you may choose to have a cross platform App on Titanium. The budget plays a huge role in overall success of the app. Usually people don’t pay much attention to need of having an awesome enterprise level mobile app and try to get it done in very limited budget. A product in limited budget will have limited capabilities. Hence the business should decide on budget based on their expected outcome and long term vision. Another fact which should be considered is the number of iterations you make on your already developed app will add to the cost. To conclude, many mobile app development firms offer affordable high quality mobile app development services but without researching the above points the mobile app development project would be always on risk. Ushyaku Software Solutions strongly believes in developing products that result in revenue growth of the customers. Our project consultancy service is the best option for any business to make the right choices about their mobile app development needs. There was a time when mobile displays were of 480×800 resolution and display sizes were also up to 4-inch. But with the time mobile display has evolved with advanced technology, studies show that 720×1280 (or around) is the most common mobile display resolution now. With increasing average resolution of displays, high-resolution images are now necessity to provide a good visual user experience for mobile apps, and here comes the cons of using hi-res images without proper study. Most of the mobile app developers only care about using hi-res images even when that much resolution is not required as per project’s requirements. So, why need to review the images before using them? Images takes more GPU power & memory than any normal UI element. Apps need multiple set of images to support multiple devices with different resolutions which increase the download size of apps. Using more resolution for any image than it is required affects the performance of app. Let’s dive-in to see how we can increase the performance of apps and reduce GPU power & memory consumptions. Create images with only the required resolution, e.g., if image-view is of size 500×400, then use image of only 500×400. 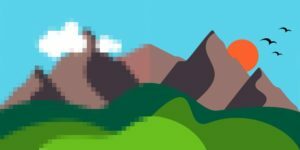 Avoid using PNG images wherever possible. Review the cases where solid-colors or color-gradients can be used in place of images like button backgrounds, etc. A great and rare technique is to use font-iconography in place of image-icons. Some great examples of such fonts are Material-Icons & FontAwesome. At USHYAKU we love to face challenges while building awesome mobile application and websites and our talented team often comes up with revolutionary ideas to make User Experience delightful.